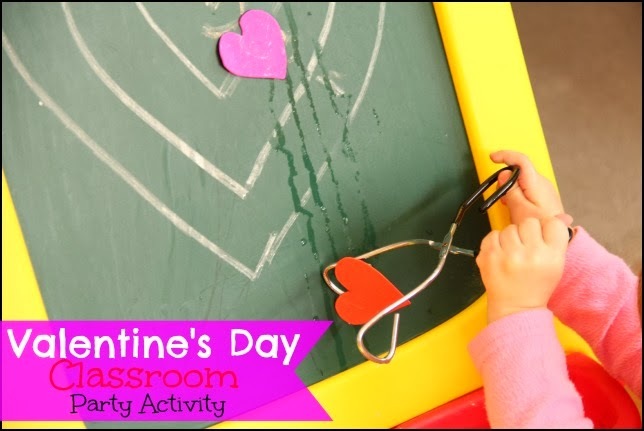 The Sugar Aunts are back with this fun classroom Valentine activity that includes sensory play. Enjoy! 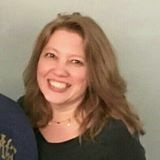 Valentine's Day activities are so much fun! 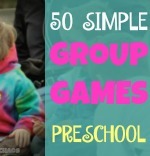 This party activity is perfect for classroom parties or even a themed play date. We loved the sensory aspect of it and played for a long time! Incorporating sensory play into learning and play activities is a great way to explore textures, scents, and so much more. The learning that comes from sensory play is vast! For children, sensory play builds language, self-esteem, and independence...all as they learn through the five senses. 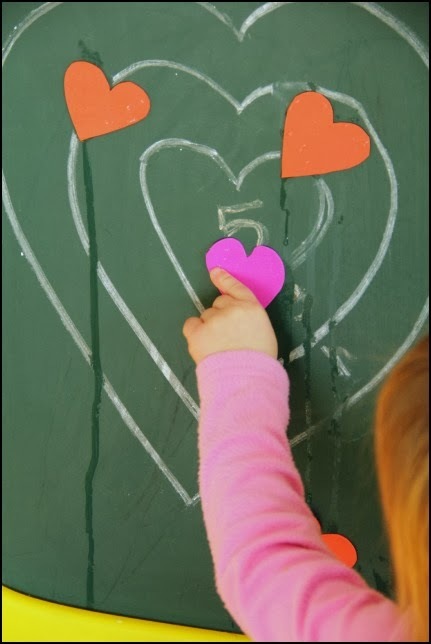 Our classroom Valentine's Day activity does just that, with a little fine motor thrown in! 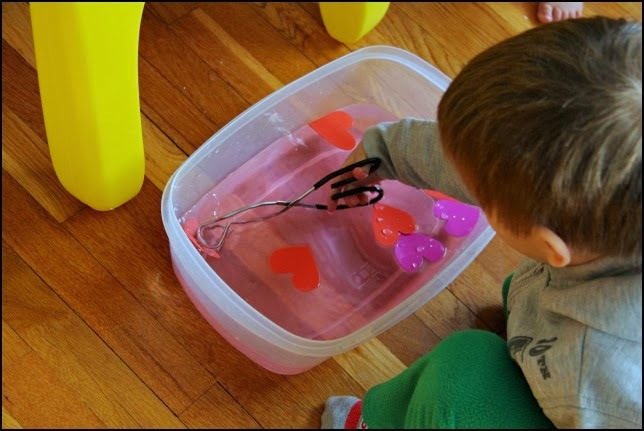 Sensory play activity for Valentine's Day. We started with a bin of water and a half cup of pomegranate scented bath salts. Any scent would do for this activity. 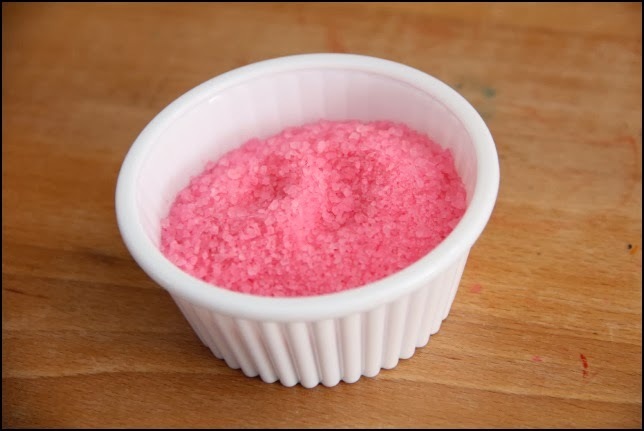 We loved the pink color of these salts and the smell was divine! Mix the bath salts in the water until all of the salt dissolves. Depending on the amount of water you have, you may need more or less salt. Add a little at a time until all of the salt is dissolved. 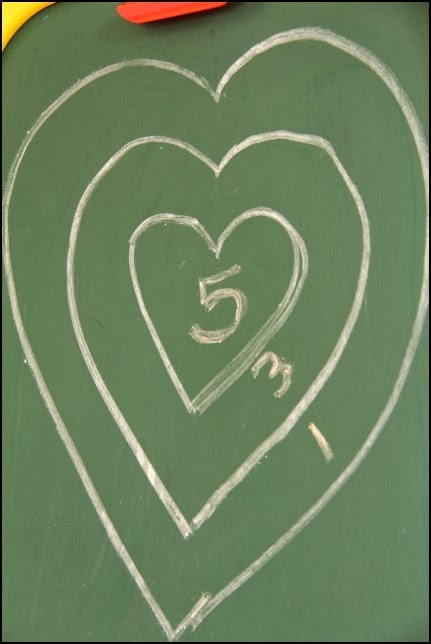 Next, I drew a heart shaped bulls eye on our chalkboard easel. 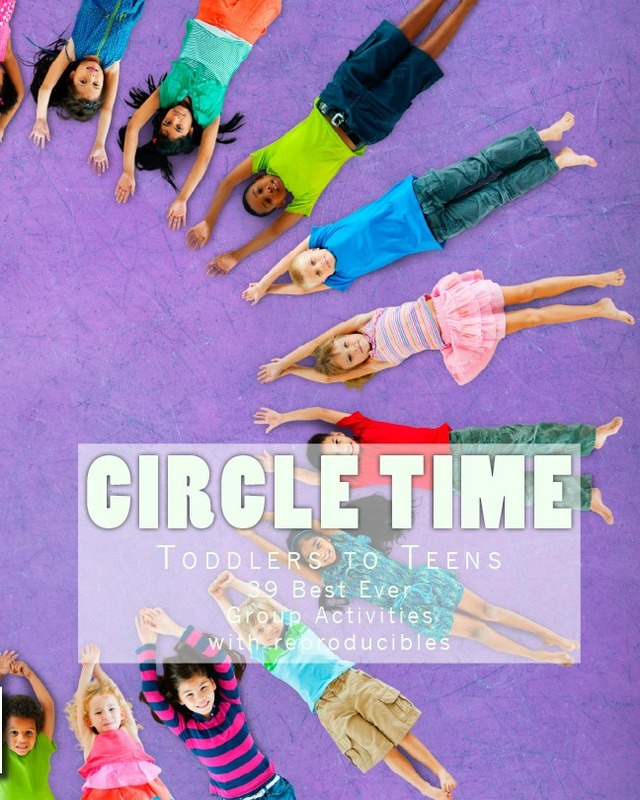 You could also do this activity on a white board. I added some small numbers for keeping score. I added some hearts cut from foam sheets to the scented water and set out a pair of kitchen tongs. This activity alone was enough to inspire sensory play and exploration! It was fun to just play in the sweet smelling water and grab the hearts with the tongs. Grabbing the hearts with the tongs required fine motor coordination (especially to use the tongs correctly and not with two hands!) Little Guy, age 4, was able to do this, but tended to switch over to using two hands on the tongs. What a great pre-scissor skill this was! Eye-hand coordination was needed to grab the hearts with the tongs as they swished around in the water. As we did, we were enjoying the scent of pomegranate! After they caught a heart in the tongs, they could apply them to the bulls-eye. Little Guy closed his eyes and tried to get the heart into the middle. Baby Girl (age 2) liked to just play around in the water and stick the hearts up on the chalk board. This was a good age-appropriate modification for her! We had so much fun with our scented water bin, that we kept it out for a good portion of the day and enjoyed more sensory play!